There were 485 press releases posted in the last 24 hours and 153,751 in the last 365 days. NEW YORK, April 16, 2019 (GLOBE NEWSWIRE) -- The 2020 Nissan GT-R NISMO made its world debut today, with race car-inspired upgrades and tuning improvements that maximize its exhilarating performance. 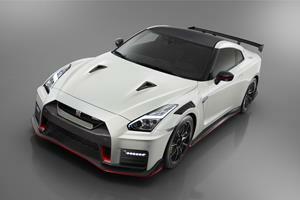 /EIN News/ -- The model was showcased alongside the new 50th Anniversary Edition as Nissan celebrated 50 years of GT-R heritage at the New York International Auto Show.